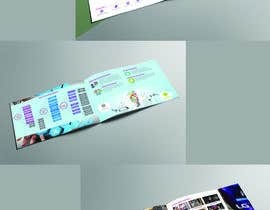 One of our client need his company brochure design, total pages 6 to 7. We have a sample design attached in MS Word format (with data), and need a very attractive & creative technology brochure. - Must be professional printable format - so client can send the brochure to the printing press. - Source file once project award. - Help in post miner modification issues in submitted design. most of the images have been copied from internet, specially LG commercial display solution - each display has its category name written on the image, i.e. hospitality tv, mirror display, dual view. can't we use them ?